I take back what I said about map cases in my recent bar bag review. 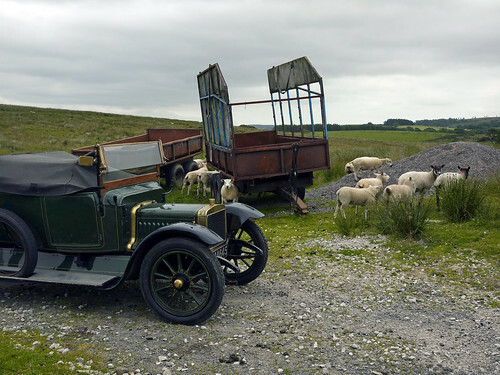 In the car park at Settle, getting ready to ride in the Yorkshire Dales, I accidentally deleted the route from my Garmin GPS. Either that, or I had forgotten to put it on when the route was planned in May. As we'd left home to drive up to Settle, Sandra reckoned it would be good to have a map as well. So on my bar bag went the map case and map, saving the ride, on the Wednesday of this week in July, the only day without blazing sunshine and a temperature 25+. Overcast and 20+ was perfect for cycling (occasionally the sun shone through). This lovely ride goes westwards from Settle, a small town not actually in the Yorkshire Dales National Park (missing by yards) but a sort of gateway to the Dales via stiff climbs eastwards towards Malham. 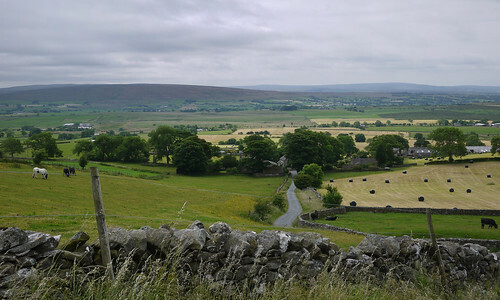 It is from Philip's 'Cycle Tours Yorkshire Dales' by Nick Cotton, published in 2002 (now out of print): West from Settle to Ingleton and Wray, classified moderate. The book classification is important. If I say it's only moderate Sandra will normally come cycling, and the book says it is, at just over 36 miles with no 'bad ones' (them climbs). 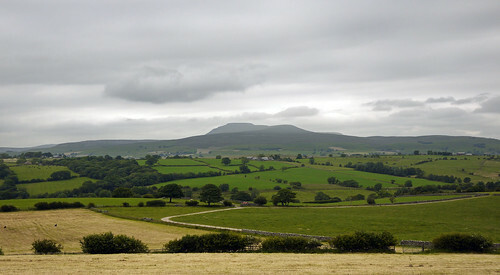 As you go west you cycle along the lower slopes of some hills, one of which is Ingleborough at the top of which my late father held his eightieth birthday party in (I think) 1998. 'Way of the Roses' signs are put here and there: a coast-to-coast cycle route that follows some of the same lanes as this ride. At Ingleton you cross over the horrible A65 in a south-west direction towards Wennington and Wray. 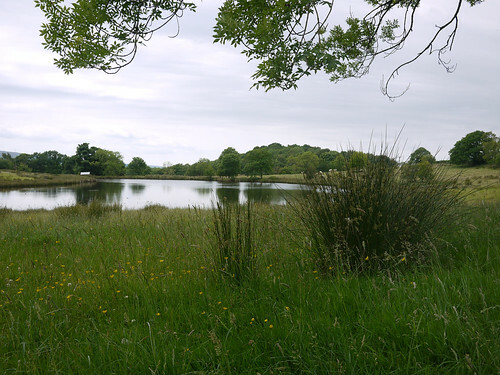 These gorgeous villages are in Lancashire, not Yorkshire. I'd have taken a photo of Wray were it not for cars and vans parked everywhere in the cobbled main street and we might have bought ice creams had we not just enjoyed lunch by a pond. I'd find this village claustrophobic to live in (its tweeness is overpowering). Only a fool would cycle along the A65. Nick Cotton warns you about a short stretch of it just before Clapham but as he probably knows by now, a cycle path has been built to save lives. The A65 goes all the way along the valley, or vale as I dub it if no-one else has. A vale is wider and less V-shaped than a valley and might have more than one river. 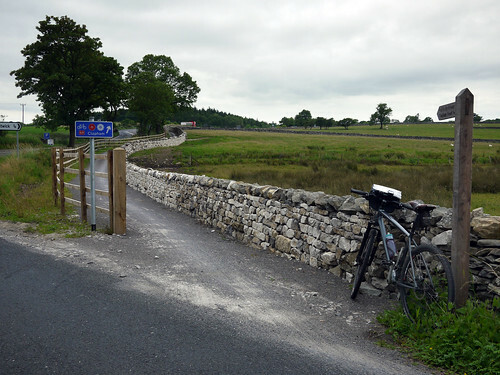 Here, there are at least two: the Wenning, and the Hindburn which you cross a couple of times at Wray, the point on the ride when you turn back east towards Settle again. You cycle back along the lower slopes of hills on the opposite side. One of the nice things about this route is its elevated position, both directions overlooking the 'vale'. I'd expected the southern side to be pretty easy but, as cyclists say, it was lumpy. I suggested Sandra think about something else going up the steep bits; she said she was singing When I Ruled the World (Coldplay) and imagined being Alejandro Valverde (yes, she watches it). The ups and downs continued for 10 miles, almost all the way to Settle. There are beautiful stone houses dotted along the lane, in superb condition with expensive cars parked at the side. A high proportion appear to be for sale, probably at high prices. And the usual scruffy farms with mud on the road coming out of gateways. Modern tractors are enormous and I think their massive tyres are why there is so much dirt on the road surface. Don't let 'em bully you, I say to Sandra. A little further on she is forced into a hedge by a large van. 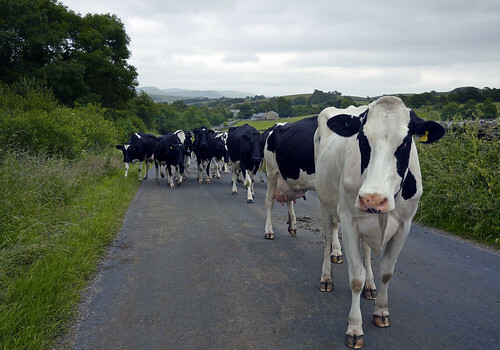 Then we see a herd of cows coming up the road and we stop. I am standing in the road astride my bike and she is behind me saying we should move to the side. No, I say, I know about cows – we hold our ground. How do you know about cows? From Uncle Ronnie's farm when I was young, I say... They won't kill you unless you run away and fall over. As we came near the end of the ride I realised how much fun it was to follow the map – the book actually, with written directions next to the map. "Cross bridge. Climb hill. 800 m after start of descent 1st R by stone bus shelter then shortly 1st L" etc. Which bridge? Did we cross one? Is this the hill? 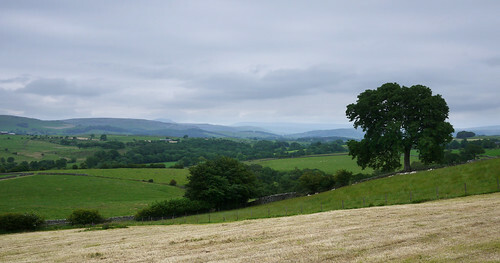 Then near Giggleswick I looked down at my GPS and saw the track we'd cycled leaving Settle a few hours earlier. Back to automation on the run-in. At a leisurely 8.8 mph moving speed this was one of the most enjoyable bike rides in a while! Route outline: Northwards out of Settle via Stackhouse Lane and Stainforth Lane to Stainforth then Austwick Road to Austwick. At A65, cycle path then Old Road to Clapham. Cross Haw Lane to B6255 and Ingleton. Cross A65 into Bentham Road then at Dumb Tom's Lane turn right to Wennington via Ravens Close Brow and B6480 to Wray. Down Main Street turn eastwards to Millhouses then right at stone bus shelter. Next left into Meewith Lane then more or less east through Keasden following signs to Settle via Meewith Lane, Bloe Beck Lane, Hollin Lane, Reebys Lane, Fummerber Lane (over railway), Eldroth Road, Paley Green Lane, and Brackenber Lane. Local interest (other websites): the Three Peaks (for walkers), the Craven Fault (geology), the Settle-Carlisle Railway (heritage). Posted by Patrick on July 11th, 2013. Sounds like a nice ride. After all the lousy weather we've had it seems strange to be looking for days when its not too hot and sunny to enjoy cycling! I had a long mainland ride pencilled in for this week but I'm postponing it until its less hot! I lived in Austwick for a little while in the early 80s in a converted stable behind one of the houses off the village green. Unfortunately the conversion hadn't gone much beyond taking the horse out! 🙂 Lovely countryside round there. I used to cycle that most of the way from Bradford to the Lake District! Again that was early 80s and the traffic was no fun even then. I always carry a map as well as a GPS in unfamiliar territory. I don't yet trust that I've programmed it correctly, that it won't run out of batteries or that I won't press the wrong buttons and obliterate it! I have decided I never transferred the planned route to my Garmin in the first place as the thing I thought I'd deleted is still there (the one and only bike ride we did in Austria). 😆 Yes, I've been about a bit!